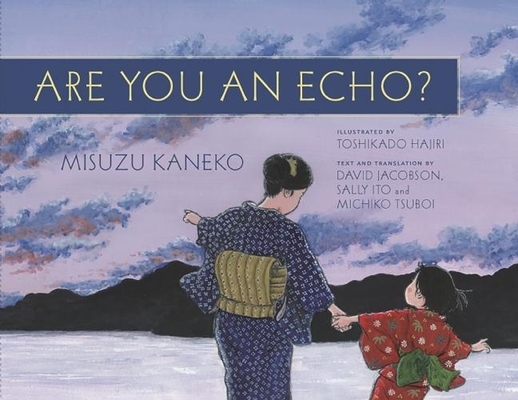 In early-1900s Japan, Misuzu Kaneko grows from precocious bookworm to instantly-beloved children's poet. But her life ends prematurely, and Misuzu's work is forgotten. Decades later her poems are rediscovered--just in time to touch a new generation devastated by the tsunami of 2011. This picture book features Misuzu's life story plus a trove of her poetry in English and the original Japanese. Misuzu Kaneko was born in 1903 in Senzaki, Japan. She rose to fame as a celebrated author of children's poems. After her death, her poems fell into obscurity for decades, until the 1970s when Setsuo Yazaki discovered and published her full body of work in Japanese. This is the first English-language biography and collection of her poetry to be distributed in English. David Jacobson has a BA in East Asian Studies from Yale University and an MBA from NYU. In 1984-5 he attended the Inter-University Center for the Study of the Japanese Language (the "Stanford Center"). From 1987-9 he received a Mombusho scholarship to study at Hitotsubashi University. His news articles and TV scripts have been published widely in print, online, and broadcast media in the US and Japan, appearing in the Associated Press, The Washington Post, The Seattle Times, The Japan Times, and on NHK and CNN. He lives in Seattle, Washington. Sally Ito holds a BFA in Creative Writing from the University of British Columbia and an MA in English from the University of Alberta. She received a Mombusho scholarship to study at Waseda University, where she worked on literary translations of modern and contemporary Japanese poetry. She has taught writing at several universities and has reviewed children's books for the Paper Tigers blog. She is the author of several volumes of poetry, including Alert to Glory, and her 1998 story collection Floating Shore won the Writers Guild of AB Book Award. She lives in Winnipeg, Canada. Toshikado Hajiri is a graphic artist and illustrator in Tokushima, Japan. After graduating from Ritsumeikan University in international relations and working at a trading company, in 2009 he decided to pursue his love for painting full-time by becoming an illustrator. His work has appeared in school textbooks, advertisements, calendars, and in several children's picture books. He was awarded 2nd prize in the 2006 International Illustration Competition sponsored by the Japan Illustrators' Association. His illustrations for Are You an Echo? will be his first for international publication. Michiko Tsuboi is a graduate of Doshisha Women's College where she majored in English literature. She also attended the University of Alberta in Edmonton where she studied and read Canadian literature in English. She has worked professionally as a translator and English teacher in Shiga, Japan for many years.